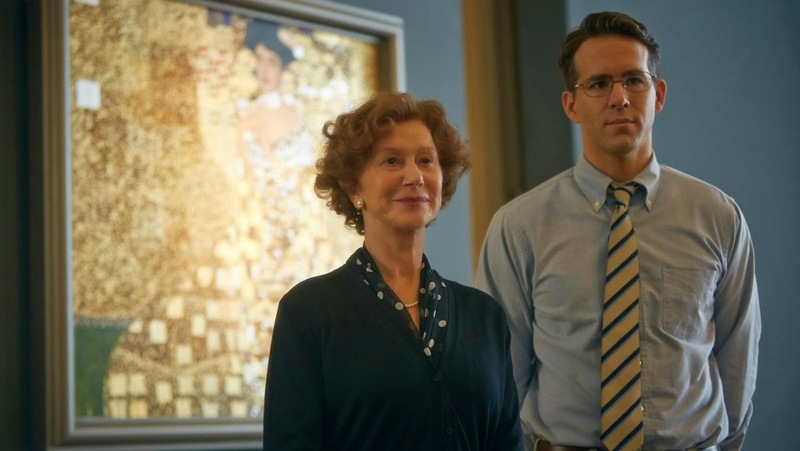 Movie Ramble: Woman in Gold. 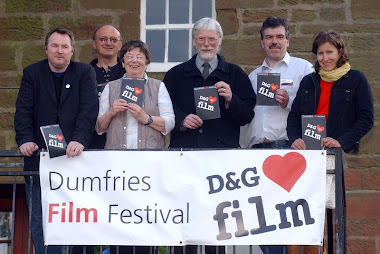 This season of the Robert Burns Centre Film Club was concluded with the screening of the 2015 British/American film Woman in Gold directed by Simon Curtis who you may remember as the director of My Week with Marilyn (2011) and also the award winning 2008 TV drama starring Julie Walters A Short Stay in Switzerland. This season has included some very good movies from World Cinema, America and this season two very different films from the UK, Still Life (2013) directed by Uberto Passolini and starring Eddie Marsan and Peter Strickland’s The Duke of Burgundy (2015) starring Sidse Babett Knudsen which in my humble opinion was the highlight of the season. The young maria with her Aunt Adele Bloch-Bauer. 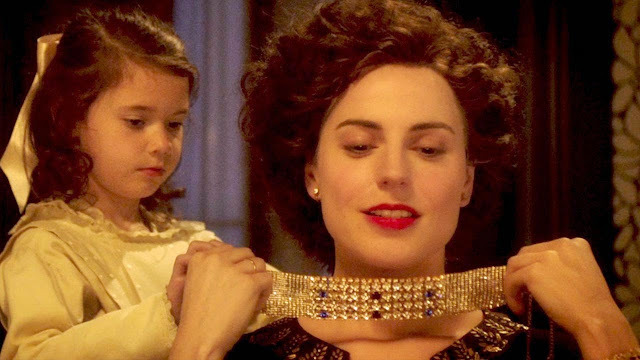 ‘Tonight’s film is based on a true story, which deals with the struggle to return valuable property looted by the Nazis during World War Two. The Nazis were highly organised in that scouts were sent into countries before they were invaded and works of art identified in private and public collections. Gestapo teams then moved in and removed the chosen works. 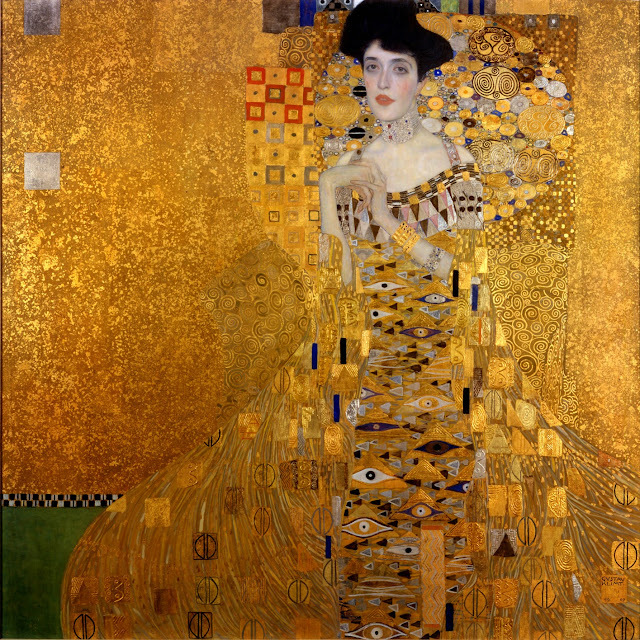 The painting forms part of Klimt’s gold period, along with perhaps the more famous work, ‘The Kiss’. 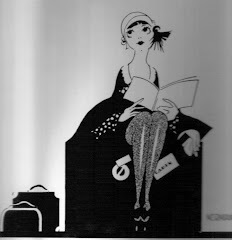 (Both these paintings reached a wide audience in the 70’s reproduced as posters and prints). A second portrait of Adele, executed in a different style, was completed in 1912. The work on the painting featured in the film was started around 1903/04 and took till 1907 to complete. There were around 200 working sketches produced during this time. The painting measures 54 inches by 54 inches and uses oil and gesso along with gold and silver leaf. 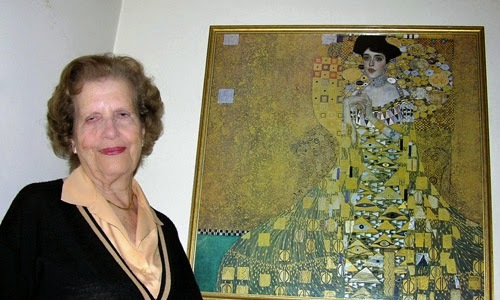 Affairs seemed to be common amongst the upper class in Vienna, and it was strongly rumoured that Adele and Klimt had a 12-year affair. Allegedly only her maid and physician were in on the secret. Testimony to this could be the fact that Adele appears as one of the figures in ‘The Kiss’, and also semi-clad in various other paintings. Like most notable artists, Klimt caused controversy and outrage, in his case by showing women in what was regarded to be highly provocative poses, sometimes verging on pornographic. In January of 1925 Adele died suddenly of meningitis. Ferdinand turned her room into a shrine, the only decorations being the collection of Klimt paintings, which were the 2 portraits and 4 landscapes, and a photograph of Klimt at the bedside, along with fresh flowers. In her Will Adele had asked her husband to donate the paintings to the Belvedere, which is the Austrian State Gallery, but Ferdinand revoked this. However, the Belvedere was soon to become the keepers of the work when Hitler came to power. As a renowned collector, Ferdinand also had some old German masters in his possession. A Doctor Friedrich Fuhrer, from the Gestapo, was tasked with collecting the Bloch-Bauer paintings. He knew that Hitler and Goering would be interested in the German work but not in the Klimt’s, so he sold the two portraits and a landscape to the Belvedere (and kept a landscape for himself). The gallery were keen to display the work, so as ‘Adele Bloch-Bauer’ was an easily recognised Jewish name, this was changed to ‘Lady in Gold’. After the war all the Klimt’s were reunited in the Belvedere, where they stayed for many years, with the ‘Lady in Gold’ becoming the Austrian equivalent of the ‘Mona Lisa’ and attracting many visitors. The painting was eventually sold to Ronald Lauder in 2006 for $135 million”. Maria and her husband attempt to escape the Nazis. The film not only deals with the struggle Adele’s niece Maria had in trying to recover what once belonged to her family but also goes back to when Maria Altman was a very young girl and takes you through her life starting in Vienna, demonstrating how the German National Socialists were accepted by the Austrians, the treatment of the Austrian Jewish families and how the Nazis took their belongings, valuables and their apartments, leading to Maria’s eventual escape to America with her husband leaving behind her beloved mother and father. This period of history is cleverly intercut with the present day where we find Maria living in Los Angeles and working in her dress shop. Its not until she discovers letters in her dead sisters belongings, which reveal an unsuccessful attempt to get the famous painting back, that she enlists the help of an inexperienced young lawyer, Randol (Randy) Schoenberg, to make a claim to the art restitution board in Austria which will eventually take this elderly Jewish lady on a ten year legal journey. Maria with her Lawyer Randy Schoenberg. Hubertus Czernin the Investigative Journalist. 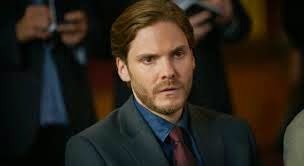 The film feature’s exceptional performances from Helen Mirren as Maria Altmann, Ryan Reynolds as Schoenberg with German actor Daniel Bruhl as the left leaning Austrian Investigative Journalist Hubertus Czernin. Also in significant, but small roles are Curtis’s wife Elizabeth McGovern and Jonathan Pryce. 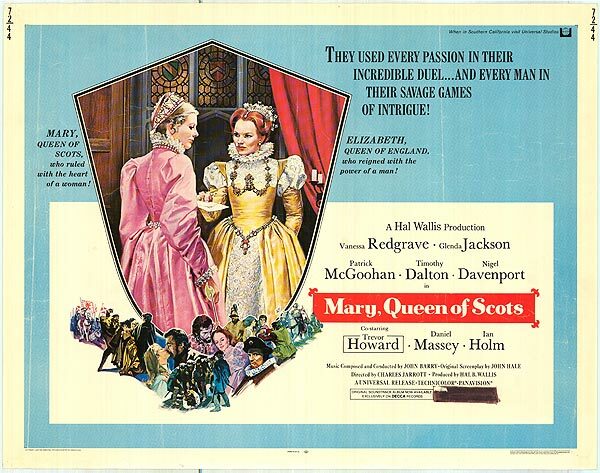 Some critics have accused the film of being dull but I found it quite the opposite in that it was a very interesting and thought-provoking film. Perhaps these critics did not have the benefit of Mr Barclay’s introduction? 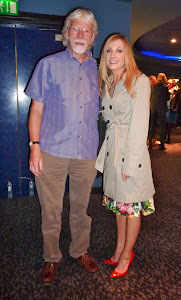 Alec Barclay Introduction to Woman in Gold at the RBC 27th May 2015.